The Cowley Shower Stool is a lightweight yet sturdy shower stool. The stool features a Duradip tough peel resistant plastic coating. The Cowley Shower Stool is a lightweight yet sturdy shower stool. The stool features a 'Duradip' tough peel resistant plastic coating. Seat Height 19" - 23.5" measured from floor to top of seat at the front. 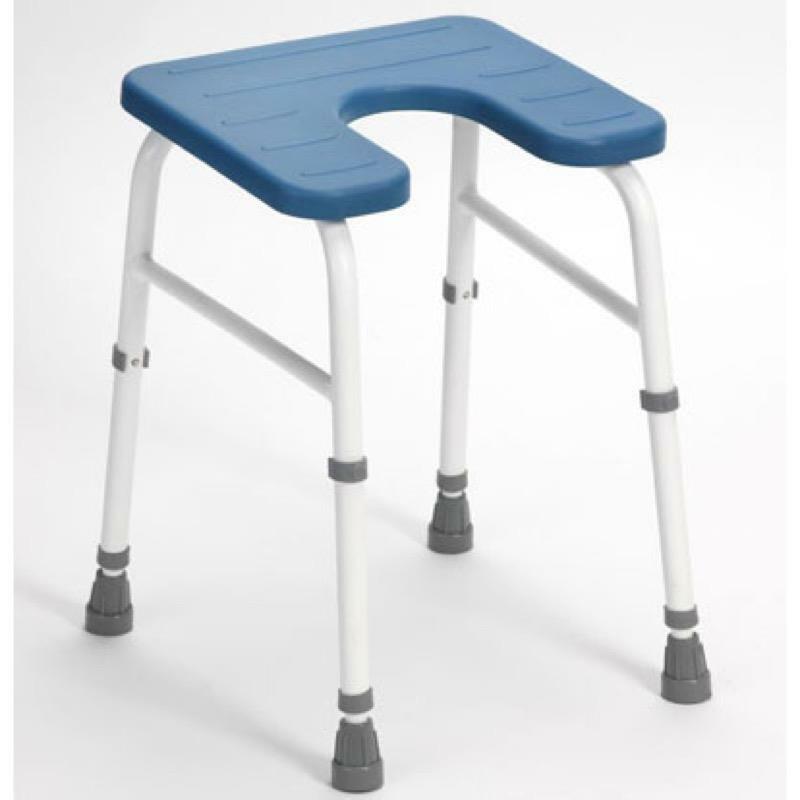 Adjustable shower stool with cut out to facilate personal cleaning. Slightly sloping seat from front to back.